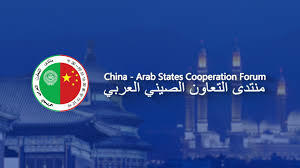 Morocco has voiced its readiness to contribute to all initiatives seeking to enhance further Chinese-Arab partnership, based on the principle of respect of the States’ sovereignty and non-interference in their internal affairs. Addressing the 8th China-Arab States cooperation forum held Tuesday in Beijing, Moroccan Foreign Minister Nasser Bourita said the reinforcement of partnership between China and Arab countries will help boost investment, trade exchanges and economic cooperation between the two sides sharing common history and geopolitical interests. He also hailed the strong support expressed by China, a superpower, for Arab causes including the Palestinian cause and Jerusalem, recalling in this regard the praise voiced by King Mohammed VI, Chairman of the Al-Quds Committee, to Beijing for its stand stressing the need to maintain the legal status of Jerusalem. Regarding Moroccan-Chinese relations, Bourita said the visit by King Mohammed VI to Beijing in May 2016 spurred a new momentum to bilateral ties thanks to cooperation accords signed between the two countries, which are sharing the same resolve to implement their strategic partnership and fulfil their goals. During opening ceremony of the forum, Chinese President Xi Jinping announced a $20 billion package to bolster economic ties with Arab countries. The package includes loans and financial aid. China also pledged a $15 million economic assistance to Palestine in addition to $91 million to Jordan, Lebanon, Syria and Yemen. Arab countries, which supply China with oil, play an important role in the Belt and Road plan, a mega infrastructure project spanning Asia, Africa and Europe. The Belt & Road Initiative tops the agenda of the Arab-China cooperation forum. The initiative, proposed by China in 2013, refers to the Silk Road Economic Belt and the 21st Century Maritime Silk Road, which aim at building a trade and infrastructure network connecting Asia with Europe and Africa along the ancient trade routes of the Silk Road. Trade exchanges between China and Arab countries jumped to around $191 billion in 2017 from $37 billion previously, making China the Arab world’s second key trade partner.